They came out promoting “Everybody” which I do like, I can say it’s still within the lines of what we expect from Shinee, but what I love and was surprised about, was Minho singing much more than he normally does, theres not as much rapping coming from him in this album. We finally have a songs that he fully sings in. This time around the boys really showcased their masculinity, they danced through the whole MV, and it was more into the hiphop/B-boy style which really show their growth and versatility. 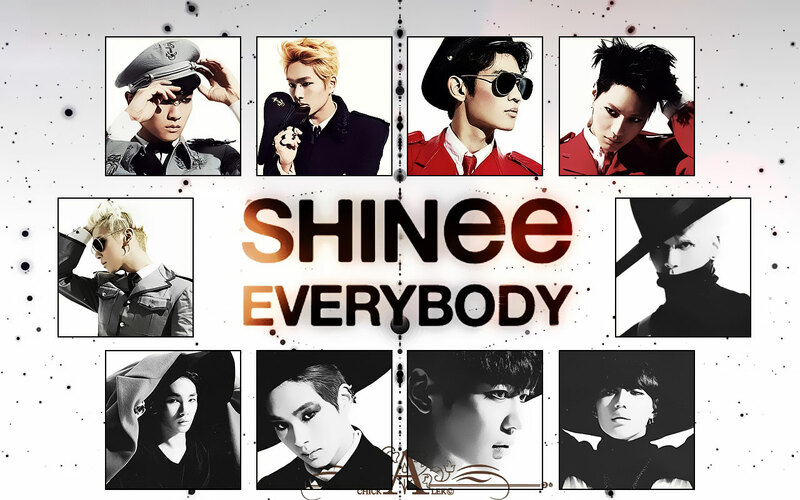 In this album they have seven new songs and I would say my top two would be, even though I do like “Everybody”, are “Symptoms” and “One Minute Back.” I would categorize these songs as a dance ballets, I feel that Shinee has a bunch of dance ballads/ballads but I just can’t think of them on top of my head, the ones that I can are more of the pop/dance category. So when heard these two songs, I just love them!